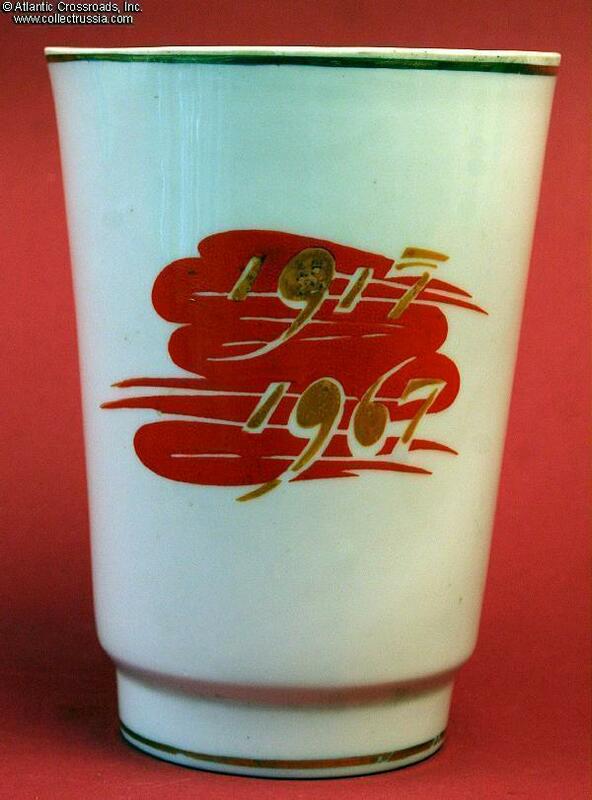 50th Anniversary of the Revolution porcelain flower vase, Kiev Experimental Ceramic Factory, 1967. 6" x 3" (150 x 77mm). 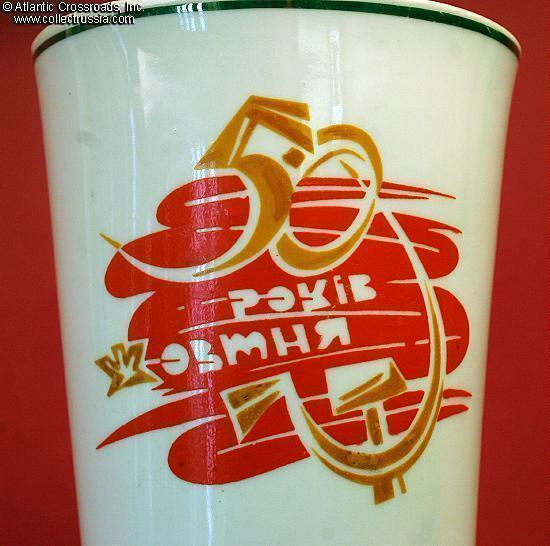 Ukrainian inscription celebrates the 50th Anniversary of the October Revolution. Almost all of the two design panels were augmented by hand painting. 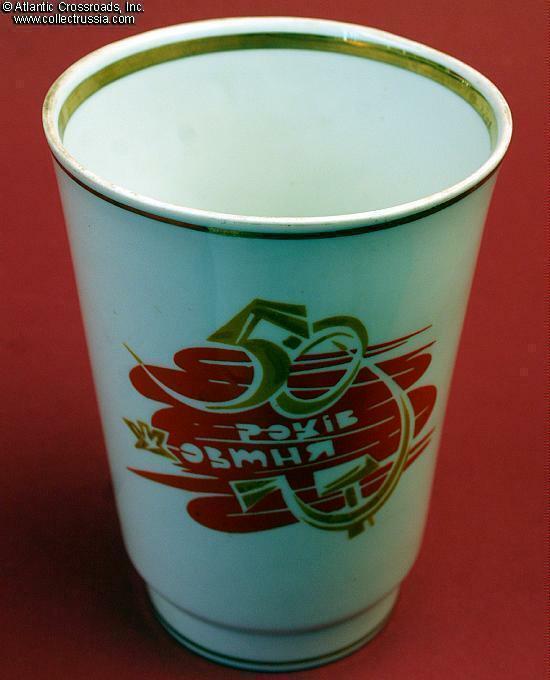 There is real gold trim at the base and on both sides of the rim. 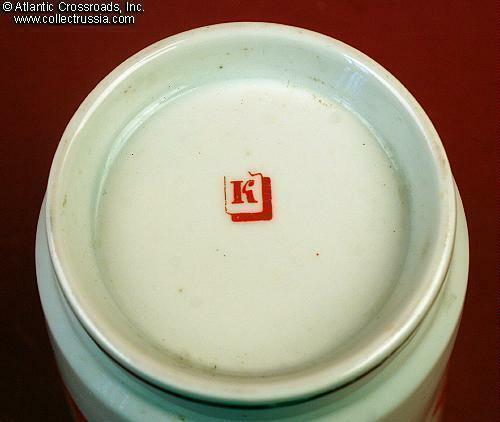 The top rim itself was left matte and not glazed. 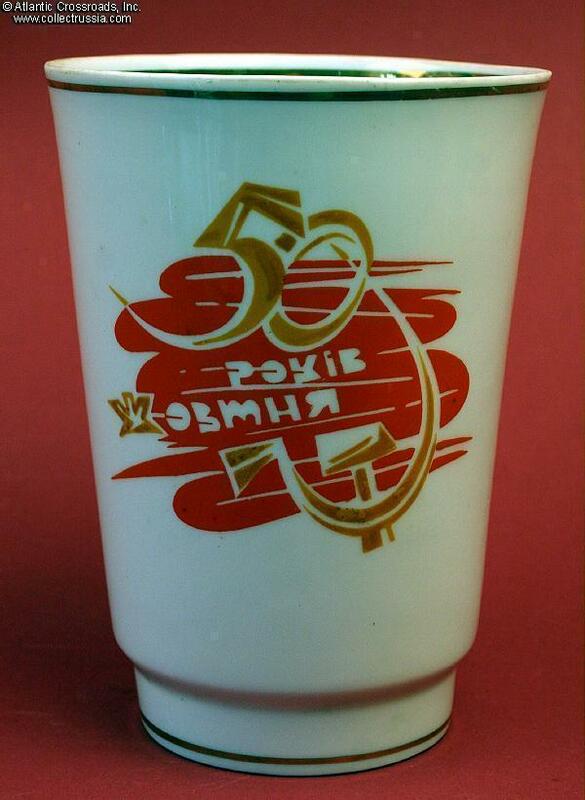 Today this looks like the perfect container for a "Socialist Shake", but at the time it was created there were no fast food franchises in the USSR and, even in the States, there were no drinking cups quite this large!